Select an entry in the table to show the details in the panel below. 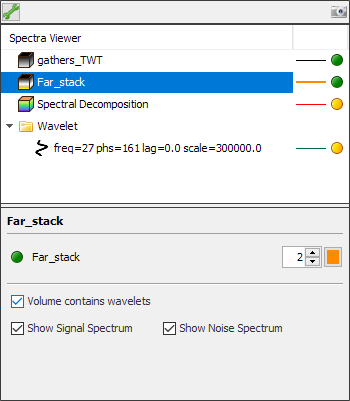 Show Signal/Noise Spectrum: Enable to include signal and/or noise spectra (see Signal and Noise Estimates). 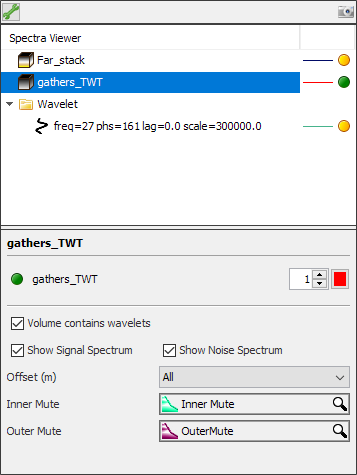 Note: Traces are tapered using a window that is the intersection of the selected Windowing Model interface (see Creating a Windowing Model) and the mutes. Warning: Moveout is not taken into account if the selected polygon is picked on a vertical section.